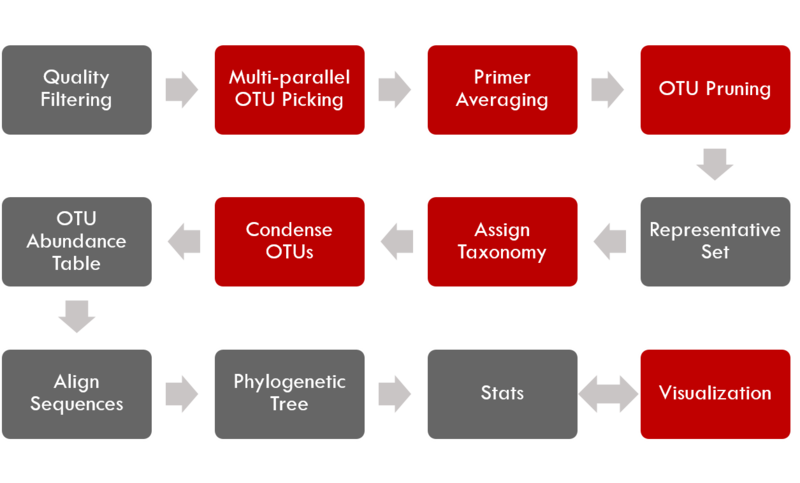 by adding or modifying several steps (above in red) including support for PBS-based cluster-computing, multiple primer support , enhanced support for species-specific analysis, and additional visualization tools. © Copyright 2016, Shareef Dabdoub. Created using Sphinx 1.7.6.